The "Deluxe" version contains additional features if you choose to use this resource in a small group study. There's a PDF Discussion Guide, extra set photos, PDF of scripts, promo video and more. 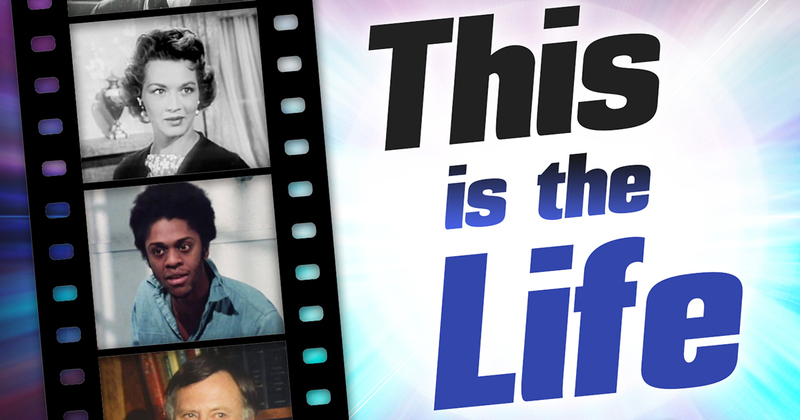 These nine classic This is the Life episodes have been selected from among dozens produced by Lutheran Television Productions, during the 50s, 60s, 70s, and 80s. Viewers will find the subjects and story lines aren't the stuff of sitcoms or even family-oriented shows that always went for the happy ending. Here are stories of faith-healing gone awry; a married couple's loss of their daughter; a pastor whose legalism was driving his members away; the bitter animosity of a father against his daughter's suitor; and more. In the end, each episode has one thing in common: God reigns through every event in our lives, and it is by faith in His Son-following and honoring Him-that our lives find their fullest meaning.